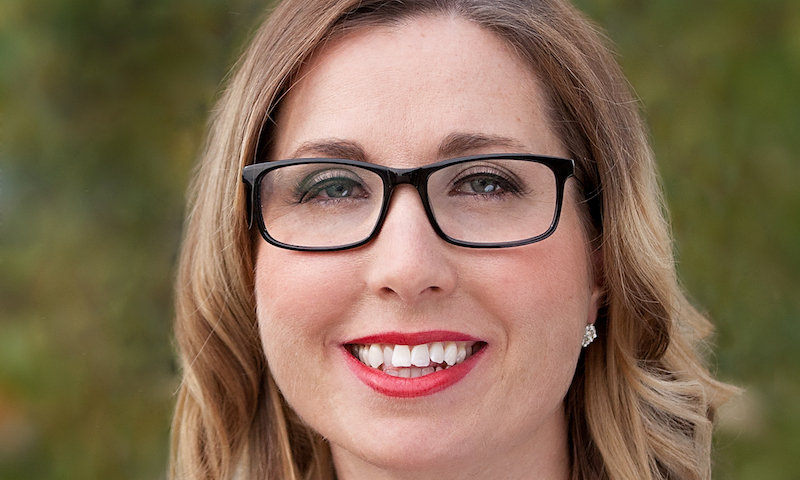 I’m very excited to welcome a new addition to our Xero team in Australia, Amanda Newton. Amanda joins us as Head of Community where she will work closely alongside our valued community of bookkeepers and accountants on a daily basis. A former small business advisor, accountant, and lover of all-things people, we chat to Amanda about her path to the role. What does the role of Head of Community mean to you? I have a real passion for people and gravitated my work and studies around communities. I was actually an elected Councillor and Deputy Mayor for my local community at the age of 21! I’ve just always been fascinated by the way communities integrate and support one another, and move and shift to make others belong. There’s such a strength and vulnerability in communities. Done right, they become a place where you have the space to be an individual that grows as part of a collective. You don’t find that everywhere; it’s pretty extraordinary. Underneath all this, I’m a really strong advocate of Xero. I‘ve seen firsthand the way it transformed the advisory company I co-owned, Negotiis. It can sound like a cliche until it’s happened to you, but Xero is so much more than software – it genuinely transformed the way we connected with our team and customers, and that was so powerful. The opportunity to get on the inside in a role that allows me to connect with people I relate to, doing what I love in terms of supporting and building a robust community, it’s a win win win. What do you do when you’re offline? I’m a keen hiker and I like to take things off the map. Three weeks ago, my husband and I took the kids, who are 10 and 12 years old, to Halls Gap in Victoria. We walked to the top of the Grand Canyon, laid on the top of the rock, turned off all the lights and watched the stars. It’s good to find out-of-the-box ways to connect too. After now selling my business and wrapping up EOFY (congratulations to you all!) my family and I are off to Cairns for three weeks before I return to hit the ground running with Xero. I can’t wait to meet you, learn from you and discover what we can do together. The post Introducing Xero’s new Australian Head of Community, Amanda Newton appeared first on Xero Blog. 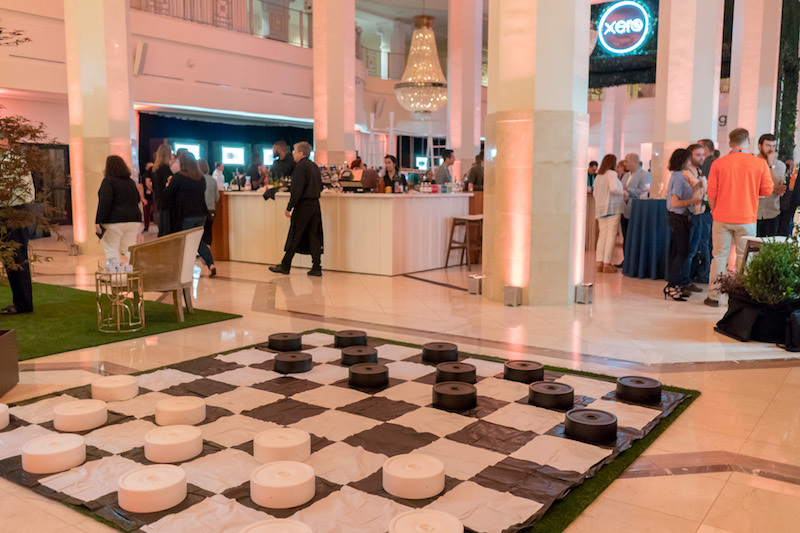 Xerocon Atlanta was filled with wow moments and great coffee was one of the wows that kept our attendees going and the Exhibit Hall floor buzzing. With two full days of eye-opening sessions and conversation for our attendees to take in, great coffee was a must. We were thrilled to bring in Brash Coffee, a local Atlanta small business, to serve our attendees and share in the experience. Chris McLeod founded Brash Coffee with one goal: to produce the best coffee possible. And for them, it goes deep – into what they make, where it comes from and how they connect to the community. So if love is the key ingredient in great food and beverage, it might be the secret behind Brash’s great coffee. 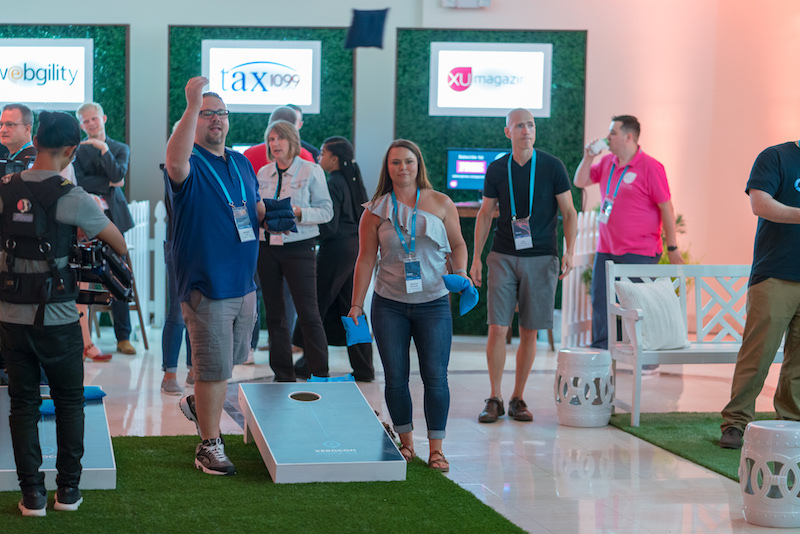 Our Xerocon attendees thoroughly enjoyed it. Brash sources coffee directly from single farmers – it’s the type of relationship and community that resonates strongly with Xero and our community. For Chris, it’s the give and take that creates respect and mutual success. Chris also helped Xero support the beautiful city that hosted our show by connecting us with Connections School of Atlanta. This is a private school that focuses on helping teenage kids with autism. After Xerocon had wrapped, we were able to donate the furniture and games enjoyed by our attendees to the school. It’s a small way to leave behind a token of our thanks to the city that hosted our event and our community. Xero was so thrilled that Chris and Brash Coffee made the connection for us. 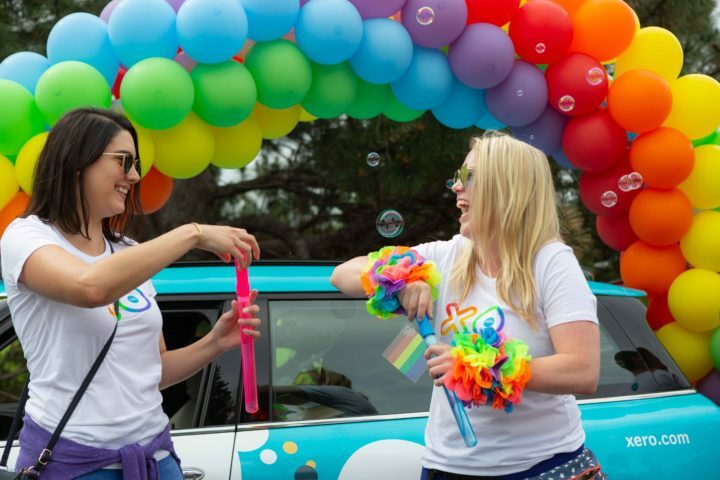 At Xero, we’re a bit passionate about the value of community. Just ask our Americas’ President, Keri Gohman. Our thanks to Brash Coffee for being such a great part of Xerocon Atlanta and for helping to further strengthen the Atlanta community. 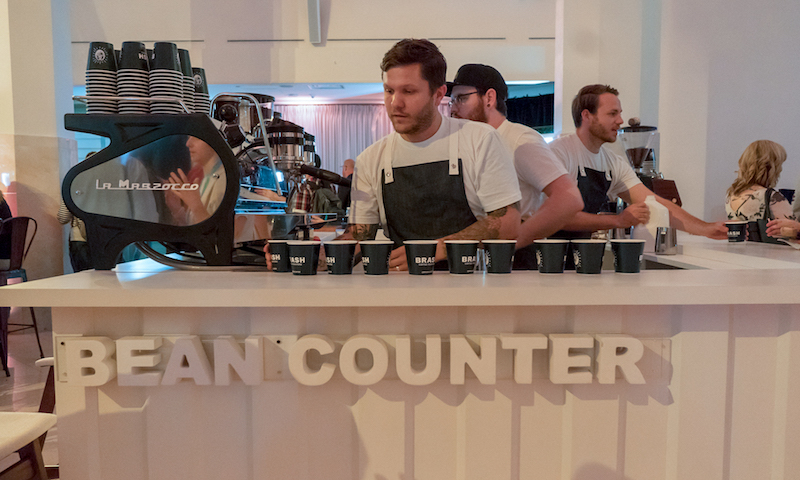 The post Creating deeper community connections at Xerocon Atlanta with Brash Coffee appeared first on Xero Blog. We’ve got some news: leading New Zealand-based farming app, Figured, is launching in the UK today. Already a partner in our global app marketplace, Figured will now also offer British farmers and accountants a new and helpful way to manage their finances. Commenting on this, David Kirby, Figured UK Managing Director, said “In all of the world’s leading agri markets we are seeing a shift in the way farmers want to manage their farms. Changing market or environmental regulations, the availability of data and the ever increasing number of hats a farmer must wear mean that farming is a more complex business than ever”. Kirby has seen the same trends locally, “Farms are diversifying, consolidating and, as the next generation of farmers come into the game, technology on farm is not an option but a prerequisite”. Figured was founded in New Zealand over four years ago. Today it’s got a strong global footing, in Australia and the US, as well as the UK. . Much of this success has been built on great relationships with accountants, who are eager to provide clients the right value against an increasingly complex backdrop. In the UK, Figured has already worked closely with firms such as EQ Chartered Accountants, Kite Consulting, Scrutton Bland, and Dodd and Co, to develop the optimum platform for farmers and their advisors. As Xero make compliance more efficient and data more accessible, accountants can now provide richer insights and better informed advice as a result. Figured does this through production tracking, live budgeting and integrated financial forecasting. “We provide a platform on which accountant and advisor can build a genuine trusting relationship, with on-farm decisions made not just based on gut, but on expert interpretation of the numbers in real time”, says Kirby. With live financial information to work from, farmers can build a team of experts around them. Significant financial decisions do not have to be made alone, offering the support and peace of mind farmers need to be able to focus on the land. 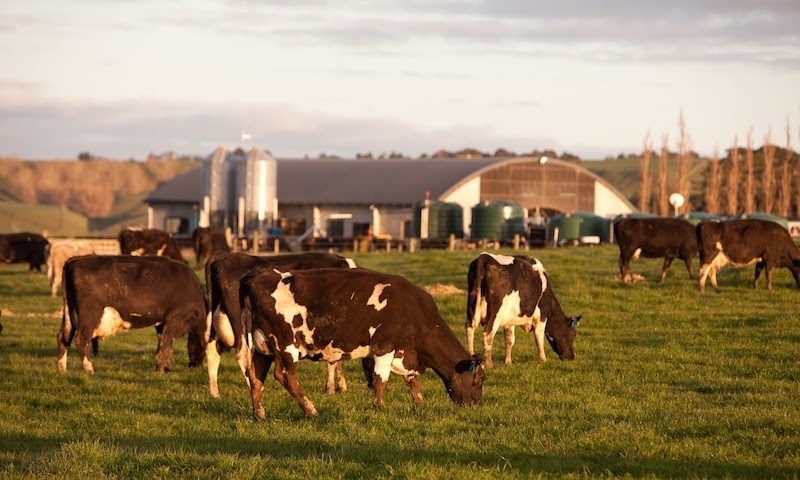 As the farming landscape changes, Figured believes farmers are shifting their focus to more profitable farming practices with less focus on maximising production intensity. This requires a greater understanding of the numbers and better advice from their trusted advisor. Figured has worked closely with Xero over the past four years to develop a best in class platform for accountants across Australia and New Zealand. “We’ve been fortunate to have fantastic people supporting our launch into the UK, the Figured team, plus the Xero partner and ecosystem guys have been a huge support. This support has given us enormous confidence in what the future holds for Figured in the UK”, says Kirby. The post Figured brings farming innovation to UK farmers and advisors appeared first on Xero Blog. Book in time with your accountant or tax agent to prepare your staff payment summaries and start work on your tax return early. Payment summaries must be issued by 14 July to be compliant. Now is the time to have an honest conversation about the next 12 months and make a plan for your business for the coming year. Though 13 million tax returns are lodged each year, just 3 million are self-lodged, meaning the vast majority of people use an accountant. Is your business paying for services and software that you don’t use? Now is the time to review your budget and protect your income by culling unnecessary expenditure. Take stock and review what costs you need and what you can cut or get a better deal on. You can deduct up to $20,000 from your business income if you purchase plant and equipment and use or install it ready for use before June 30, making it easier to grow your business with new equipment. The average Australian has seven bank accounts and credit cards altogether. If your business has leftover unused accounts, loans or credit facilities, sort it all out before 30 June — and don’t forget to connect your Xero bank feeds to all of your accounts. If you feel overwhelmed, a bookkeeper is a great help you get the paperwork together. Make sure you pay your superannuation before 30 June so you can claim it as a deduction. 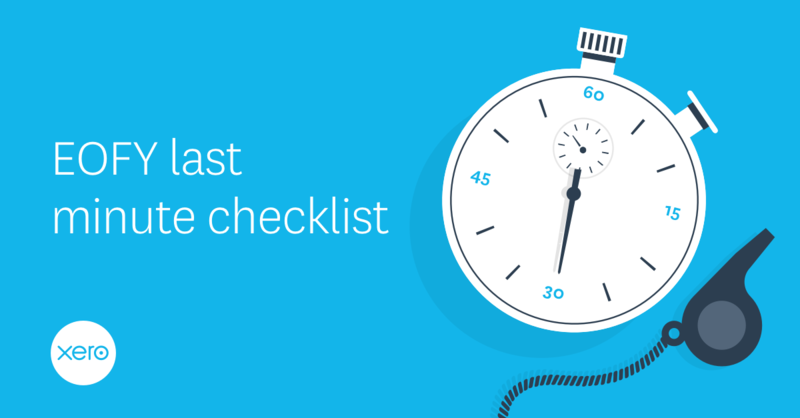 The post Five-point checklist for this end of financial year appeared first on Xero Blog. 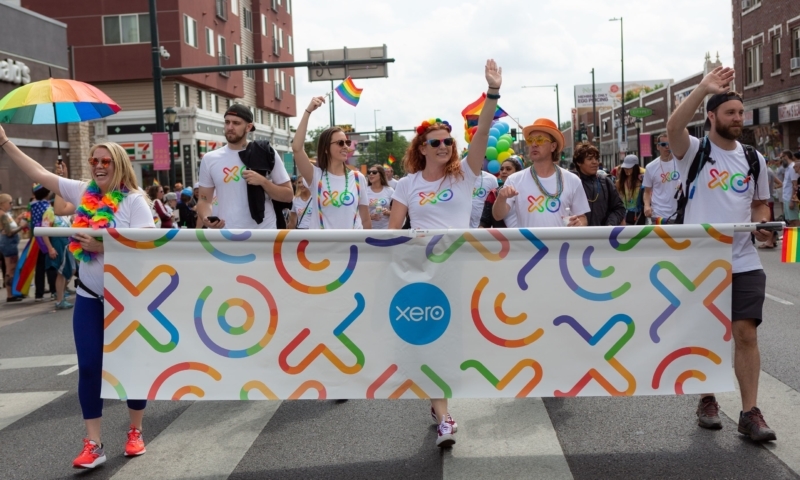 At Xero, we’re proud to support a diverse global community of accountants, bookkeepers, small business owners and people. Every day, they go to work to help people – providing services that make a difference in the lives of their neighbors, their local communities and the world. 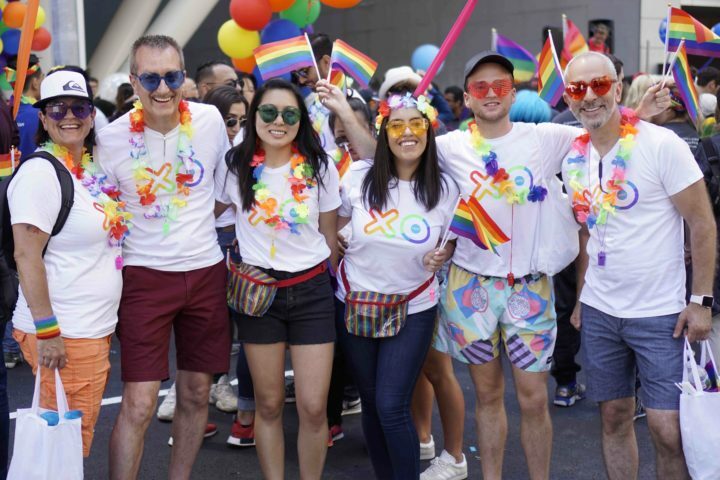 We are proud to celebrate what makes each and every one of our customers and our people unique. 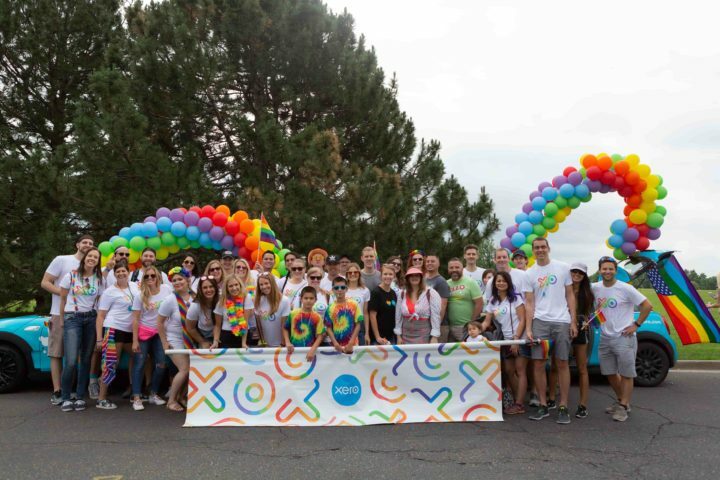 This month, it was an honor for our teams across the Americas to march in Pride parades in Denver and San Francisco and to show our love and support for the LGBTQ community. 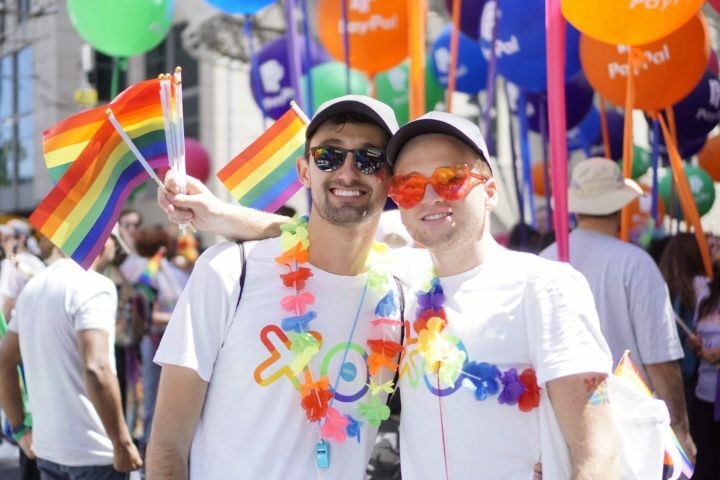 In honor of Pride month, we asked some of our Xeros about their experience participating in the celebrations and what Pride means to them. “I heard someone say this weekend, ‘Pride used to be a protest, and now it’s a celebration’. I think you could try to dissect that and take a position on what Pride should or shouldn’t be, but that would be missing the point. Growing up gay used to be (and still is for most people around the world) illegal, shameful, and very dangerous. It’s hard to imagine with the wide acceptance of LGBTQ’s and modern civil rights in the western world, that only 10 years ago most queer people did not feel safe in their own neighborhoods, let alone safe telling the people they work with the truth about the people they loved. 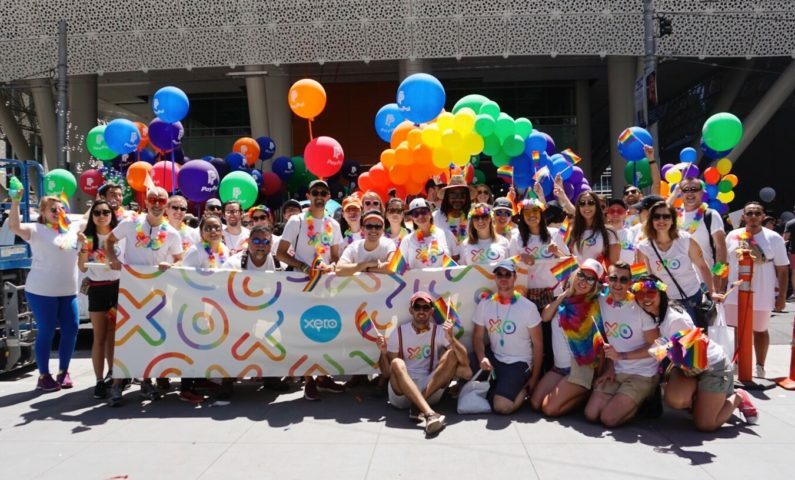 “I knew before joining Xero that it was the kind of place where, whoever you might be or love, you would be celebrated and encouraged to do great things. It’s one of the reasons I wanted to work at Xero. It’s a workplace that values acceptance and togetherness and makes me feel like I can be myself at work. 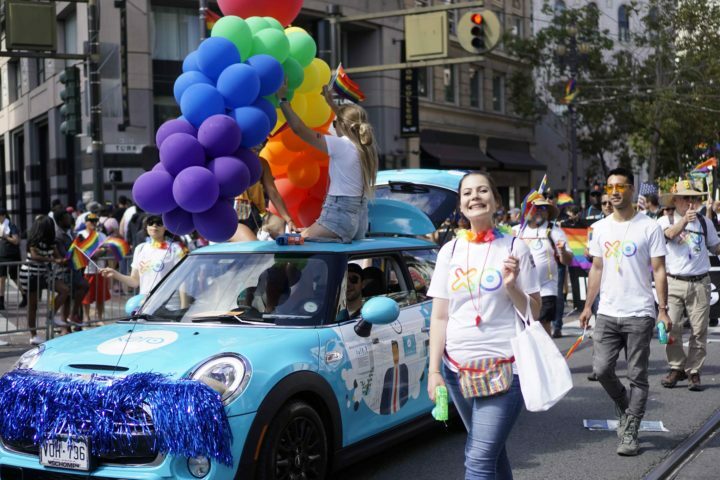 But taking these ideas out of the office and on to the streets of San Francisco for the Pride Parade shows how much Xero really cares about its people. The post Building the next generation of accounting with Pride appeared first on Xero Blog. 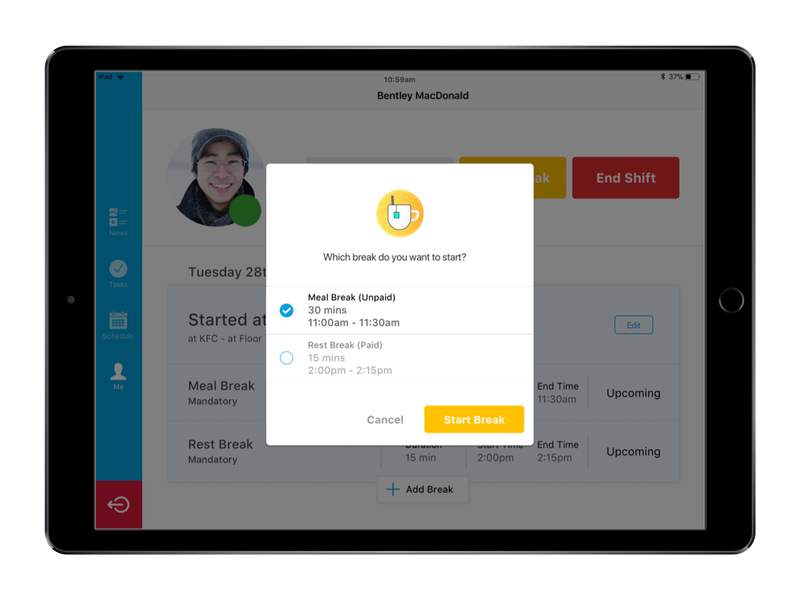 Coming Soon: Break Planning, the simple way to manage employee meal and rest breaks. 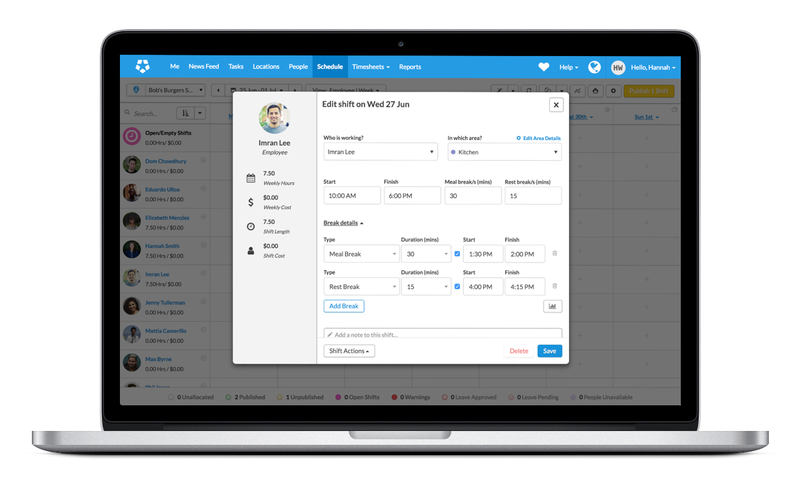 Over the next couple of months we’ll be introducing an exciting new feature, called Break Planning, that will make scheduling and managing employee breaks in Deputy a breeze. As Break Planning may impact how you manage your workforce, we’re giving you a preview of what’s coming now, so you can prepare if need be. Break Planning will be released in parts over the coming months to allow you to test and explore this capability in preparation for implementing it with your team. We’ll be sure to let you know as each piece is released, so keep an eye out for updates. We also know that while Break Planning is important for some customers, it won’t be relevant for everyone. That’s why we’ve built it as a completely optional addition. If Break Planning isn’t for you, or if you’re not ready to use it, nothing will change! The only thing you’ll notice is an updated Add Shift window. We know that managing employee breaks can be a real headache for business owners. From making sure there are no coverage gaps, to meeting complex compliance requirements, it’s hard work for even the most savvy of managers! That’s why we’ve developed Break Planning, a new feature in Deputy that will make scheduling and managing multiple employee breaks, simply effortless. For a quick overview of what Break Planning will look like when it’s fully rolled out, check out the preview video here, or read on below! Will Break Planning be relevant for me? In many workplaces, employees are entitled to set break periods, commonly referred to as ‘meal breaks’ (typically longer, unpaid breaks) and ‘rest breaks’ (typically shorter, paid breaks). There can be complex rules around when these breaks need to be applied to a shift, and in states with strict labor laws, like California and New York, not providing your team with the required breaks can come with a hefty price tag. If you’re not sure about the break laws that apply in your area, we recommend checking out this guide by the Department of Labor. Even if you’re not in an area with strict workplace break laws, Deputy’s Break Planning is a great way to organise your team breaks and ensure optimum coverage throughout the day. 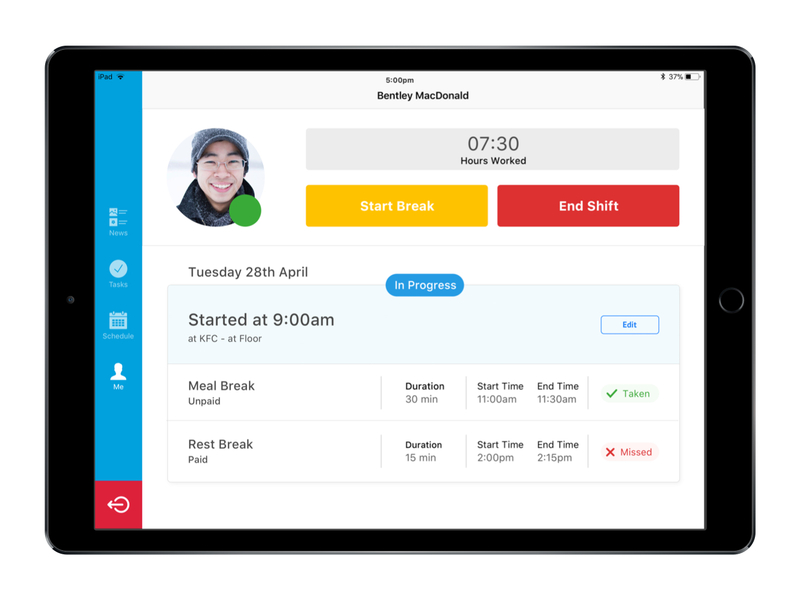 With the introduction of Break Planning, we’ll be giving our add shift experience a makeover to give you more functionality and flexibility when scheduling breaks. Most importantly, we’ll be introducing the ability to schedule multiple breaks, and break types, within a single shift. This means you can schedule every meal (unpaid) and rest (paid) break required by your local labor law, and specific start and stop times if required. For businesses operating in areas with particularly strict employee break laws, you’ll also have access to pre-built break templates – meaning every shift you create will include the right breaks, every time. To improve coverage planning, we’ll also be making a nifty change to scheduling in Day View. The updated planner will provide a bird’s-eye view of the day’s coverage – including when meal and rest breaks have been scheduled for every team member. This enhanced visibility means any staffing gaps or break overlap can be easily spotted and avoided ahead of time. Coverage planning made easy! Because busy managers don’t have the time to micromanage employee breaks, Break Planning will introduce a bunch of features that allow employees to better self-manage when and how they take breaks during a shift. Firstly, employees will be able to see all of their scheduled breaks in their personal schedule. They’ll then be able to select which scheduled break they wish to take when clocking out, or start an unscheduled break if one doesn’t exist. So Break Planning works for the unique compliance requirements of each business, we’re also adding a number of customizable options for on-site management. This includes the ability to prevent employees from clocking back on before their allocated break time is up, preventing employees from clocking on to their shift early, and automatically adding break times to a shift. To help your employees prepare for change, we’ve put together a quick-read guide for your team that highlights the key differences they need to be aware of. The guide is based on the experience on Kiosk, however it will be similar across all devices. PDF: What will Break Planning look like for employees on Kiosk? 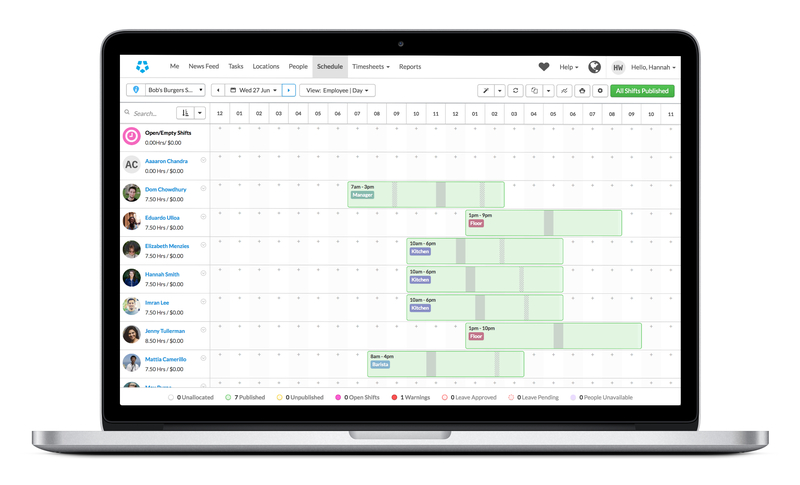 Break Planning’s on-site features reduce the administration burden on busy managers, and empower employees to self-manage their breaks. A win-win for everybody! The final piece Break Planning is the ability to track and report break details, giving you piece of mind for managing any compliance issues that may arise down the line. Whenever an employee takes a break during shift, start and stop times will be captured in the employee’s timesheet. This means you’ll have a long term record of all breaks, should there be any need to provide attestation in the future. To help you proactively manage compliance risk, a flag will also show up on the timesheet whenever a scheduled break was not taken in full, or missed altogether. Sounds Great! So What’s Next? As mentioned, the complete Break Planning experience won’t be available immediately, however, we will release important parts of the feature as they become available. The first piece we’ll release is the web experience, giving you the chance to start scheduling breaks, managing breaks on site, and keeping track of your team’s breaks while logged into your Deputy account via a browser. Then, we’ll update on our Kiosk App, so employees can begin to self manage their breaks via the Kiosk App or Web, whichever they prefer. 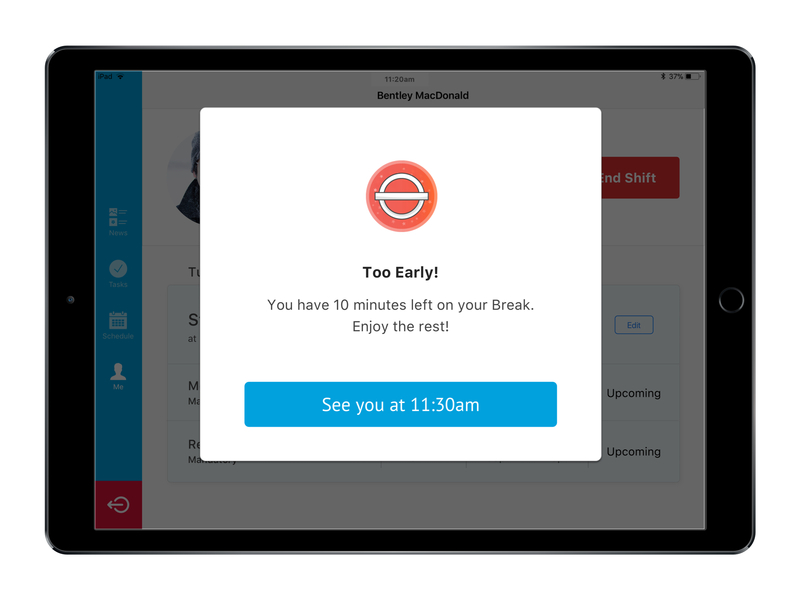 Soon after, Break Planning will be available on our iOS and Android Apps, giving managers access to break scheduling on mobile, and employees the ability to seamlessly manage and track their breaks on any device. The last piece of the puzzle will be the ability to create customised break reports in the report builder, giving you peace of mind that you can provide detailed attestation of compliance across your entire team, for any period of time. Want to make planning your team breaks a breeze? Stop worrying about compliance and make sure you’re always covered. Sign up with Deputy today. The post Break Planning: The Simple Way to Manage Breaks appeared first on Deputy. The post Amazon Prime Launches in Australia appeared first on Cin7. This is a post by Akshay Sachdeva and Francesca Nicasio. The future of retail is something we think about constantly here at Vend. And we know that a big part of predicting the future lies in looking at retail technology trends that are making waves today. So for this post, we’ve compiled a handful of the top retail tech trends that are making their way into stores, ecommerce sites, and consumer’s homes. The goal here isn’t to hype up technology or convince you to adopt them all in your business. But you do want to keep these trends in your radar and determine if they’re worth investing in. Personalization in retail is more than just putting someone’s first name in an email blast. Various types of retail tech are enabling merchants to tailor everything from customer communications to product-building. All of the marketing and promotional communication that gets sent to customers will become more tailored to the consumer receiving it. In addition to addressing shoppers by their name, retailers can also customize the content of their communications based on each customer’s purchase history. 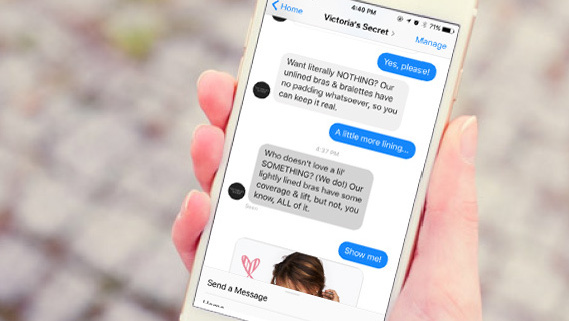 Here’s an email example from Lingerie retailer ThirdLove. With a subject line that reads, Francesca, we picked this just for you, the message showcases products that ThirdLove thinks I’d be interested based on the items I previously bought. Some retailers are taking personalization to the next level by enabling shoppers to build their own products. Dresden, an eyewear retailer in Australia is the perfect example of this. Dresden takes plastic waste from Australian beaches and discarded fishing nets and upcycles them into affordable frames. Then they let shoppers create their own pairs of sunglasses by enabling them to interchange the lenses and frame parts (which come in a variety of colors and sizes). With the use of beacons, mPOS (mobile point of sale), near field communication and Bluetooth technology, retailers are already able to greet customers by their name from the moment they walk in, and provide relevant information to the customer based on what they’re seeking. With targeted marketing messages and promotional pop ups appearing on screens in the retail store as the customer walks through, retailers will be able to attract, engage and convert prospects into shoppers. Whether you’re an SMB or a large retailer, you’ve got to work on personalizing the customer experience. Look at the techniques and technologies above and see how you can use them in your personalization strategy. Does your email platform allow you to personalize communications at scale? Do you have the in-store devices to tailor the customer experience? What about product personalization? Are there any technologies you can adopt that can enable your customers to “build” products (if this makes sense for your business of course). Explore the possibilities to see what works best for your business and customers. With devices like the Amazon Alexa, Google Home, and Apple’s Home Pod, consumers will use voice search to browse and purchase products. Voice technology is also becoming more advanced on mobile devices, with applications like Apple’s Siri already blending AI and voice tech to become powerful personal assistants. In a recent study, 57% of consumers who owned voice activated speakers bought something. That’s a clear indicator that voice based shopping is on the rise, and with over 20 million smart speakers now available in the US, this number is all set to grow rapidly. And it’s not just about buying things. Consumers are increasingly using voice search to find nearby stores or to look up answers to their questions. Here are a few use examples of how voice impacts retailers. Scenario #3 – A mom realizes that they’re almost out of toilet paper so she tells Alexa to place an order. In all these scenarios, merchants have the opportunity to put themselves on the radars target customers. In scenario #1, the retailers who have set up a proper online listing and optimized their site local search stand a good chance of being recommended to the searcher. Meanwhile, in scenario #2, athleisure retailers can get on the radar of the would-be gym-goer by creating informative content on the different types of leggings. As for scenario #3, merchants selling on Amazon can improve their chances of being recommended by Alexa by optimizing their listings and getting an Amazon Choice Badge. The right voice search strategy depends on what and where you’re selling. But for many SMBs, the first step is usually to optimize your site for local and voice SEO. If you haven’t done so yet, you might want to consult with an SEO professional so you can get your site to show up on local and voice searches. and you want to explore this trend further, here’s an interesting take on voice search from the folks at Goldman Sachs. We’ve already started to see how Facebook messenger chatbots are becoming the new customer service reps for many businesses. Many chatbots are powered by artificial intelligence and can be trained to answer questions and deal with certain customer requests. Beyond chatbots, though, AI can also play role in the back office, allowing merchants to improve their operations. For example, Vend retailers have access to Dott, a tool that can surface suggestions and tips to retailers based on their activity, in real-time. Dott learns about you the retailer, and your business, based on how you use the Vend Platform day to day, and by analysing sales, product, customer and inventory information in real-time. It then makes personalized suggestions on what you should do next to grow your business, literally helping you join the dots. 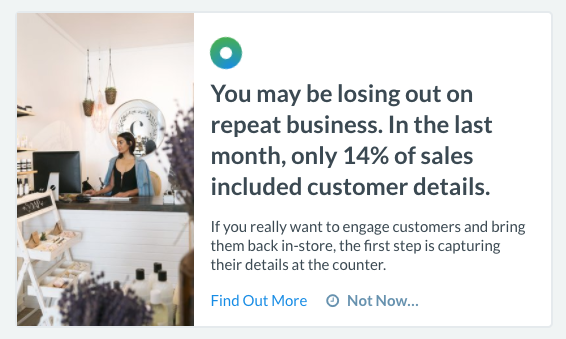 In its first iteration, this will include surfacing ways to engage with customers and keep them coming back, and how to best report on their inventory to keep the in products in stock. You can start thinking about how AI can be used in your business. On the customer side, you can consider automating your customer service through chatbots on your social media channels. Try and think of ‘frequently asked questions’ by your customers and then build this capability into chatbots to free up your time, energy and resources for other meaningful pursuits, like innovation and new product development. From the backend, you can start looking into AI-powered systems that can help you make better decisions. In the US it is predicted that more than half of all online shopping will be done via mobile phones by 2020. Physical retailers are actively trying to leverage this trend by providing mPOS (mobile point-of-sale) terminals to allow for quick checkouts. Online retailers are customizing their shopping experience for mobile phones through building responsive websites that adjust their user-interface as per the device the consumer is using. Not only are mobile phones going to become the preferred medium for users to shop online, they will also be the preferred medium to make ‘contactless payments’ in store. 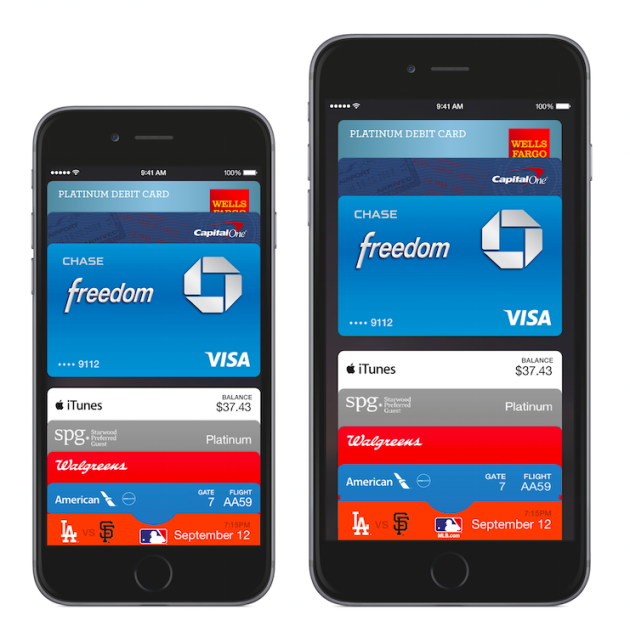 With technologies like Apple Pay, consumers will no longer be seen carrying credit cards in their wallets, and will opt to buy products using the digital wallets on their phones. Building further on the ‘contactless’ in-store experience, Amazon has invented the “Amazon Go” store, which allows users with the Amazon Go app installed on their mobile phones to walk in store with a tap, pick up anything they like from the store, and then just walk out with another tap on their mobiles, without having to ‘pay’. This is going to become more commonplace at a lot of stores, with Amazon leading the way. Mobile will also allow users to scan products, compare and make an informed decision on their purchases. More than 30% of shoppers said they had changed their minds about purchasing a product after consulting their mobile device while shopping in a brick and mortar store. Clearly, mobile phones are only going to further empower customers in the future. Think carefully about your mobile presence. Is your website optimized for mobile shopping? Do you offer a mobile app to your users to make purchases from? These are all important questions for you to address in the short term. Over the long term, you’ll need to integrate mobile with other technologies to provide a frictionless shopping experience. With IOT, beacons, AI, machine learning, and contactless payments, the possibilities are endless on what you can invent for online and offline mobile shopping experiences. The internet of things, a trend where physical things utilizing the internet to provide a seamless shopping experience, will completely revolutionize the in-store experience. It will bridge the gap between physical and digital shopping experiences. Video: With video analytics, and facial recognition technology growing in popularity, retailers will be able to build ‘shopper profiles’ from the moment they walk into a store. These shopper profiles will allow retailers to provide a highly individualized experience to consumers. GPS Enabled Shopping Trolleys: The shopping trolley of the future will allow consumers to upload shopping lists, with the trolleys then guiding them in-store with directions on finding the items they’re looking for. Customers will also be able to pay for these items via the trolley itself, eliminating the need to stand in line to check out. Electronic Rack Edge Tags: At the moment, retailers need to update prices on products being sold in-store with printed labels. This will change as retailers adopt electronic labels, allowing them to update all product information through the internet. The above is not a comprehensive list of all the inventions that IoT will catalyze for the retail industry. To prepare for the future, you need to consider the size of your store, and think about what technologies apply to your business. Consider how you can integrate IoT into your retail business to increase profitability, depending on what’s most accessible and viable for you. Preparing for the future of retail requires a lot of contemplation, systematic planning, and empathy for the customer. With a ton of new technology trends disrupting the retail shopping experience, you have no choice but to take these trends in your stride as you look to build a sustainable retail business for 2018 and beyond. The post 5 Retail Technology Trends Making Waves in 2018 appeared first on Vend Retail Blog.